Pre-announcing gear is all the rage at the moment, and one pre-announcement has really captured our attention, because IKEA has been working on something with Sonos. IKEA is known for lots of things. It’s known for relatively inexpensive furniture, flat-packed furniture, proliferation of the humble Allen key, and the Billy bookcase we’ve all seen or owned at least once in our lives. Pretty soon, though, it’ll be a brand you connect with sound, because it’s working with the likes of Sonos to integrate multiroom Audio into its designs. That’s a collaboration that was announced back in late 2017, which apparently is almost ready to show some products from. We say “almost”, because IKEA isn’t planning to reveal its hand until April at the Feel Home show in Milan, with releases of these products not expected until later. 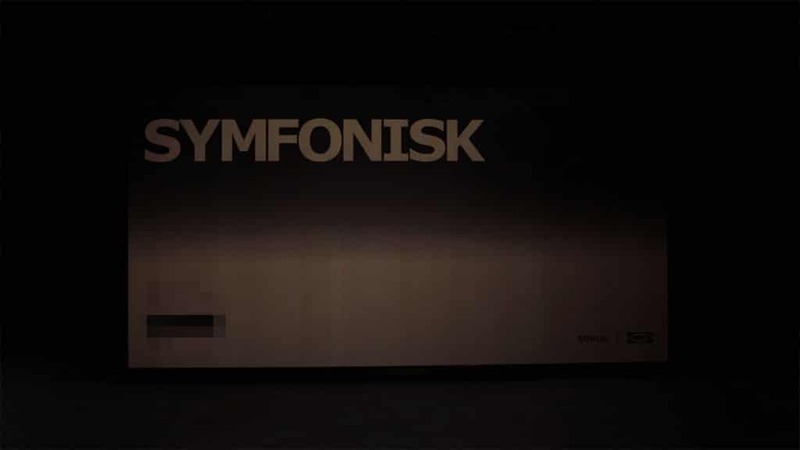 However, the results of the IKEA and Sonos collaboration may end up being about more than sound, with IKEA’s lighting also playing a part, resulting in the “Symfonisk” range of IKEA products. “Together with Sonos we wanted to combine our home furnishing knowledge with their expertise in creating great sound experiences for every room of the home, and in Milan we want you to experience the real difference that sound and light makes in your life,” said Björn Block, Business Leader for IKEA Home Smart. The result could well end up being a Sonos-compatible speaker positioned for affordability with direct linking into IKEA’s Tradfri lighting system, which caters for smart home lighting control in a capacity much like that of Philips Hue and LiFX. Locally, IKEA’s Tradfri range has largely been a bit of a no-show, hinted by IKEA in 2017 and then arriving as wireless controllers last year. Locally, IKEA’s wireless lightbulbs that sit in the Tradfri range still aren’t available in Australia, raising a bit of a question about whether the Symfonisk IKEA-Sonos smart speaker will make it to our side of the world this year, also. We can’t imagine it would take much for IKEA to bring in local stock of its lights, however, and that might mean Australia will see the IKEA-Sonos collaboration alongside everyone else when it is released later this year. As to what exactly that will look like, we’ll let you know in early April, with the Feel Home show unveiling exactly that from April 9 in Italy.